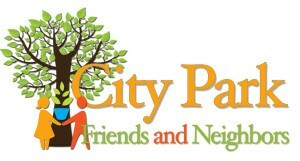 Welcome to City Park Friends and Neighbors (CPFAN). Our mission is to actively protect the classical pastoral character of City Park, located in Denver, Colorado. Membership is free. Our annual election meeting has been scheduled for May 9, 2019. 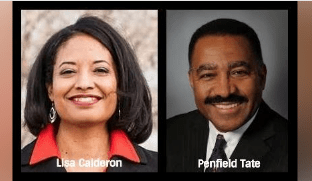 The election will be held at the Messiah Church at 18th and Colorado Blvd. Doors open at 6PM. We currently have five people who are committed to serve on the Board. Those who might wish to run for a board position should let us know. Whatever aspect of City Park is of interest to you, your participation is encouraged. We will set aside some time for a review of CPFAN’s past year and discussion of its future. We will also discuss CPFAN’s mission statement and members’ views on whether it should be expanded, changed or remain the same. We will review the responsibilities of all CPFAN officials, the President, the VP/Treasurer and the Secretary. The nominating committee will present its slate of board members. Members present will vote on the slate. Elected Board Members will then vote to elect officers, President, VP/Treasurer and Secretary. Please consider expanding your involvement in CPFAN. And please come to our meeting May 9 at Messiah. DENVER, CO – Denver nonprofit The Park People is offering free and reduced-cost trees for Denver’s citizens through its annual Denver Digs Trees program. Street trees – those planted in the public right of way – are free to all Denver residents, yard trees are offered at a very low cost, and homeowners may apply for multiple trees. Applications are available Jan. 1-Feb. 15, 2019. The tree distribution and sale is on Arbor Day, April 27, 2019. “If you plant a tree this year, imagine what a difference your tree will make in its next 50 years of life,” she adds. The nonprofit receives numerous positive reports from happy tree owners. • Autumn Gold Gingko, which hasn’t been available at recent sales. It is known by the nickname living fossil, because the Ginkgo Biloba is one of the world’s oldest living tree species. It was around 350 million years ago! Join members of CPFAN and extend a warm welcome to Jamie Giellis and Stephen “Seku” Evans, two declared candidates who want to be the next Mayor of Denver. Elections will be held in May, 2019. Each candidate will have 45 minutes to speak about their vision for Denver and to answer questions from the audience. Neither likes the expansion I-70 through north Denver neighborhoods. Subject: Improvements to Stapleton’s Central Park and Greenway Park Playgrounds: Take the Surveys! Constructed approximately 10 years ago, Stapleton’s Central Park and Greenway Park playgrounds are now in need of improvements. As Denver Parks and Recreation begins the design process for upgrading these two playgrounds, we want to hear from you about what you’d like to see in the future. Please take the surveys below to tell us what you love about the current playgrounds as well as what you would like to see in the future. Each survey will take approximately 10 minutes to complete. This is just the start of the playground outreach! You will begin to see more about this project over the next few months and we plan to be out in the playground/host public meetings in order to hear directly from you. Please contact parksandrecreation@denvergov.org with any questions or for more information and visit www.denvergov.org/parks. If you would like to be involved with supporting the future outreach for this effort in Stapleton, please email parksandrecreation@denvergov.org with your contact information. Saunders Construction and their subcontractor, Iron Woman Construction, are scheduled to begin a waterline relocation project starting the week of February 26, 2018. The project extends along East 23rd Avenue and York Street. 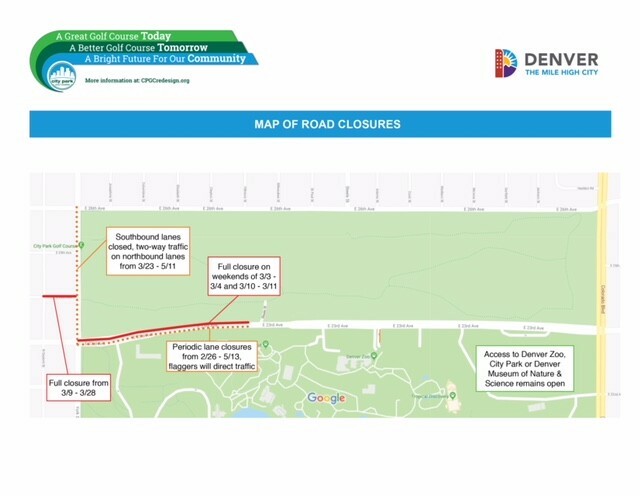 *Note: Access to the Denver Zoo, Denver Museum Nature and Science, and City Park on 23rd Avenue will remain open the entire time. Construction will be done in stages to minimize impacts to the public during special events and peak periods of traffic. Detours will be in place for pedestrians, bicycles and vehicle traffic. The contractors will make sure traffic continues to flow safely through the work zones. • 23rd Avenue: Partial lane closures on 23rd Avenue between Steele and York Streets, with flaggers controlling traffic. 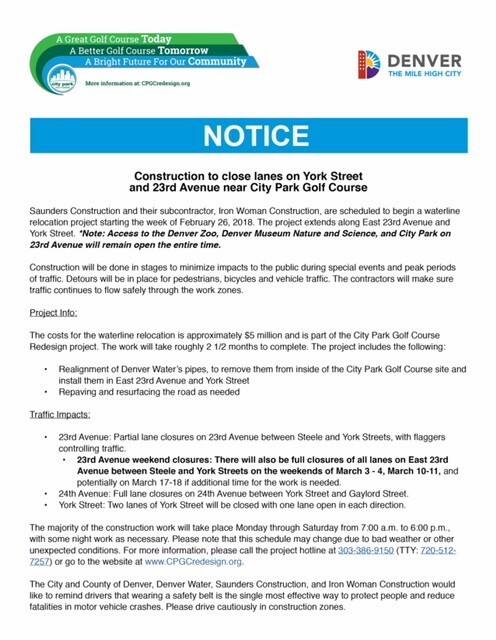 • 23rd Avenue weekend closures: There will also be full closures of all lanes on East 23rd Avenue between Steele and York Streets on the weekends of March 3 – 4, March 10-11, and potentially on March 17-18 if additional time for the work is needed. • 24th Avenue: Full lane closures on 24th Avenue between York Street and Gaylord Street. • York Street: Two lanes of York Street will be closed with one lane open in each direction. The majority of the construction work will take place Monday through Saturday from 7:00 a.m. to 6:00 p.m., with some night work as necessary. Please note that this schedule may change due to bad weather or other unexpected conditions. For more information, please call the project hotline at 303-386-9150 (TTY: 720-512-7257) or go to the website at www.CPGCredesign.org. The City and County of Denver, Denver Water, Saunders Construction, and Iron Woman Construction would like to remind drivers that wearing a safety belt is the single most effective way to protect people and reduce fatalities in motor vehicle crashes. Please drive cautiously in construction zones. 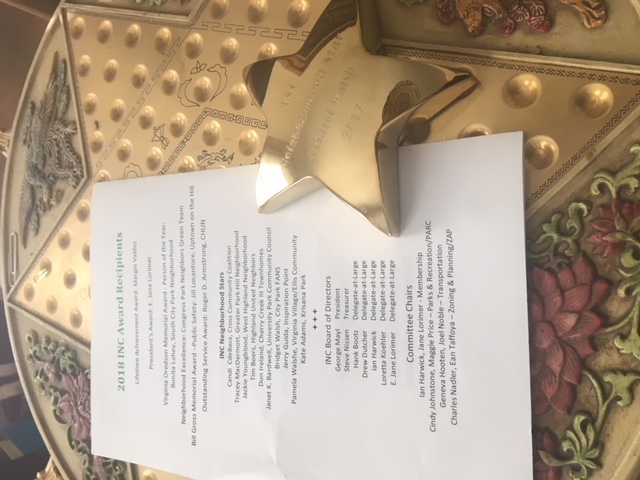 Kudos to … Bridget Walsh, the recipient of an INC 2018 Neighborhood Star Award on behalf of CPFAN at INC’s Annual Banquet on Jan 31, 2018 … CPFAN Officers & Board Members, Hank Bootz, John Van Sciver, Steve Eppler, Georgia Garnsey, Jacqui Lansing, Keith Loftin, Lou Plachowski, Jackie Victor, and Bridget Walsh who actively serve and protect our park land and open space … Attorneys Aaron Goldhamer and Tony Vaida, who worked countless hours on behalf of the plaintiffs in the City Park Golf Course lawsuit … new RNO’s – Neighbors of Overland North, Montbello Improvement Association, Overlook at Park Hill, and Far Northeast Neighbors who are ready to protect the integrity of their parks and open space … and the members and friends of CPFAN who provided tremendous support by attending our rallies and special events, signing petitions, writing letters to city officials and just “being there”. Looking forward to another great new year. Hello from Denver Community Planning and Development! Based on your input in Denveright’s Blueprint Denver planning effort, city planners are working on a new approach to managing land use in our city. The new concept acknowledges that all places in our city are constantly evolving in pursuit of becoming complete in their own way — not just through enabling or limiting development, but through quality-of-life infrastructure like safe sidewalks, housing options, transit access, parks and open space. Diversity, affordability and good urban design/architecture are key to complete neighborhoods as well. Regional centers and corridors would take on the most growth, while the remainder of Denver’s places would evolve in smaller ways. Ensuring the proper scale and intensity for all places — and appropriate transitions between residential areas and other places — are key to livability. More workshops are being scheduled. 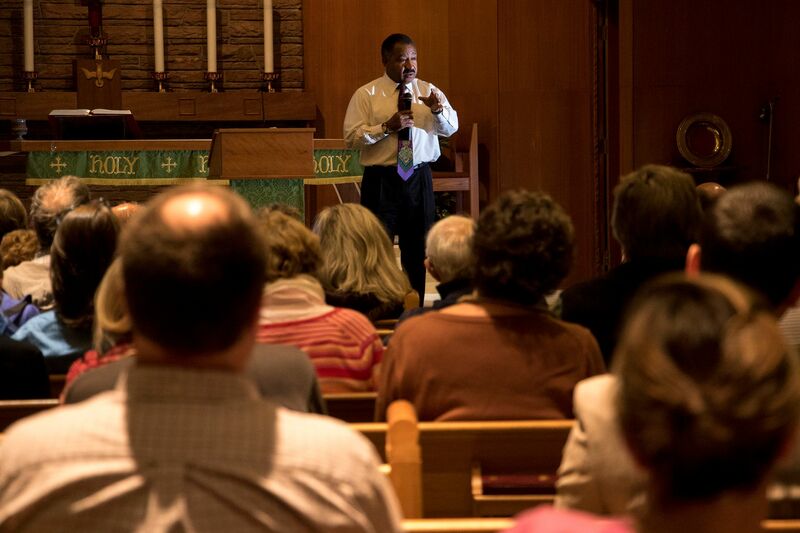 Check our website for information on workshops in council districts 2, 5, 7 and 10. Park Hill Golf Course Alert! On January 2, 2018, Denver City Council is holding a one-hour courtesy public hearing allowing citizens to express their views on the City’s proposed condemnation ordinance for securing 25-35 acres in the Park Hill Golf Course (PHCG) for a detention pond and 50 acres of “staging” during the construction period. This Call for Action is a great opportunity for the community to show City Council how much citizen interest there is in the future of PHGC. The traffic and environmental impacts of more massive development could be topics to address as well as citizens’ desire to preserve and enhance the 155 acres of PHGC as either open space or a golf course. The time limit for speakers is 3 minutes. If you do not want to speak, there will be an opportunity to stand and show your support for preserving PHGC as either open space or a golf course. Council Chambers are located in the City & County Building, 1437 Bannock St., Room 451. If you are able to attend the meeting, please arrive by 5:30 pm. Speakers may sign up at the time of the recess prior to the public hearing. During the recess, council staff will distribute speaker cards at the speaker’s podium. Complete the card, including your address, and return it to council staff. The speaker card must be signed by the speaker. No sign-ups will be accepted after council is back in session. I hope you can attend this meeting to let City Council know our support for preserving PHGC as either open space or a golf course. “If our elected leadership was listening, it would help," In all, 261 trees are scheduled to be chopped down starting Nov. 1. 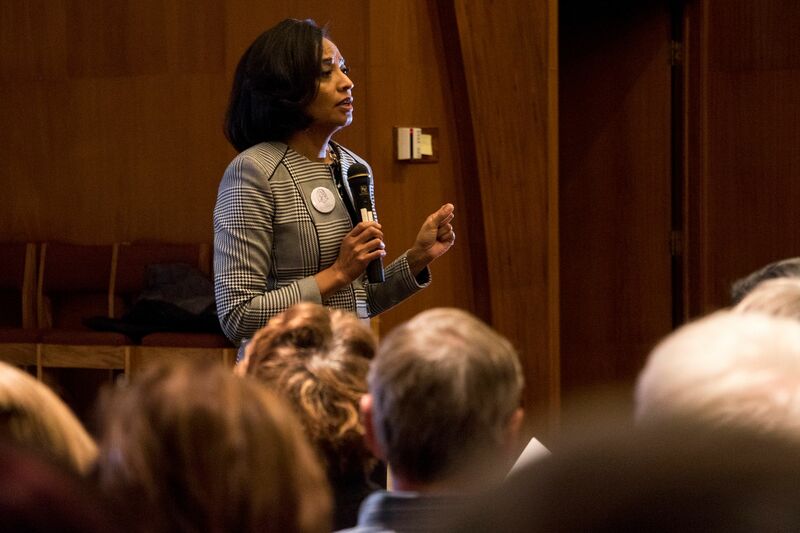 “It’s like watching an execution,"
Dear Denver City Council, It is time for Denver City Council to speak up and represent the interests of their constituents. 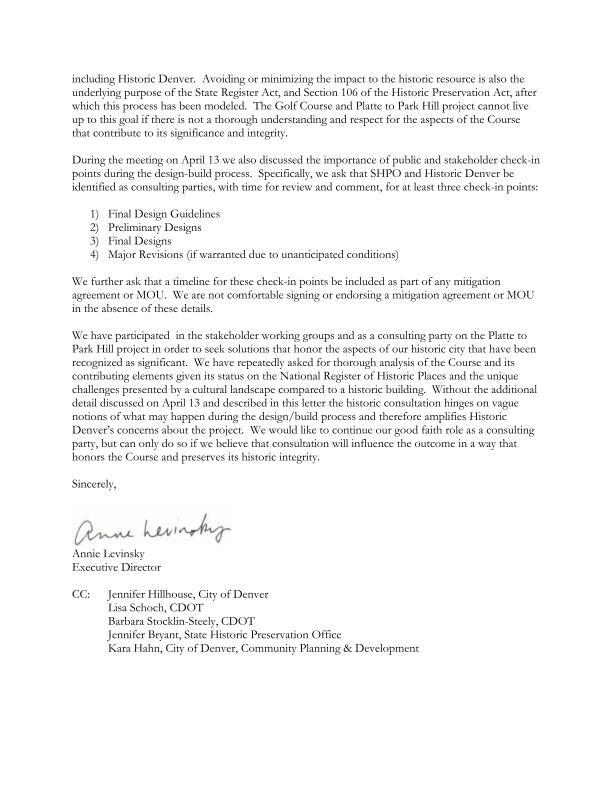 Unfortunately, In 2010, through changes to the Denver Zoning Code, Denver City Council ceded complete control over our precious Denver parks to the Mayor, through his political appointee, the Manager of Denver Department of Parks and Recreation. This move has proved disastrous for Denver parks including Washington Park, Hentzel Park, City Park Golf Course (CPGC), Overland Park Golf Course and potentially for future parks such as the promised Fairfax Pocket Park in Park Hill. This rampant misuse of our heritage, our parks, must stop. Please take back Denver City Council's power to manage and defend our parks with genuine input from your constituents. Bring accountability, trasnparency and integrity back to the management of Denver parks. Change the Denver Zoning Code, now. ANOTHER NAIL IN THE I 70/ PLATTE TO PARK HILL COFFIN? NO VERDICT YET/ CITY TO “DONATE” PARK LAND TO DEVELOPER? 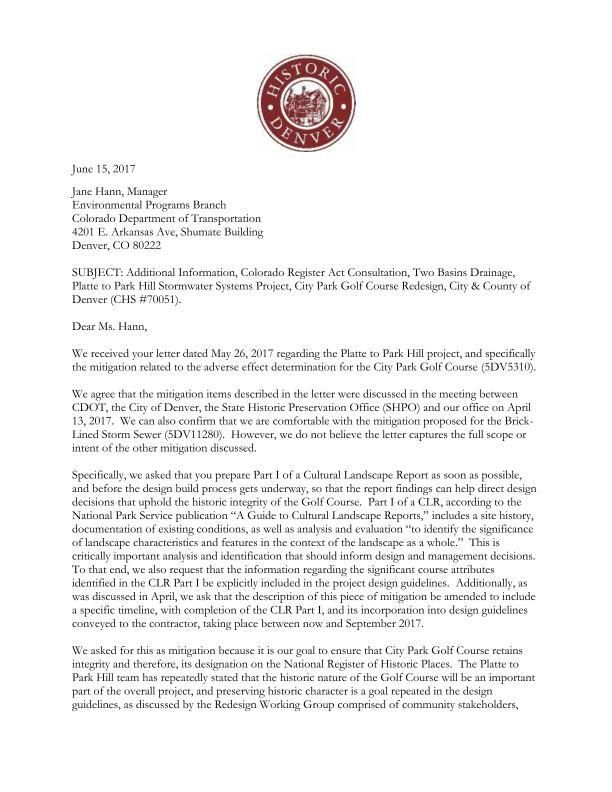 We have just four weeks to go to the trial, where our attorneys will demonstrate to the Court that not only the golfers who play 50,000 rounds of golf a year at CPGC, but thousands of other Denverites will be deprived of use of CPGC for ANY park purpose during this extended stormwater project chosen as construction support for the I70 expansion. Our lawyers will also show that— contrary to all the fancy PR coming from Denver — this project was not chosen to “improve” the Golf Course, and in fact will destroy the historic landscape design that earned the Golf Course its place on the National Register of Historic Places. Read the latest plans from the Denver Zoo about beautification of the Gate 15 area. Sign our petition to stop Denver Mayor Michael Hancock from destroying an historic public park to put in an industrial storm drainage sump. Click the button at left to see more and sign the petition. Read more on our issues page.